What: Join us over 4 weeks for a series of making common store bought foods from scratch. Come learn and share how to cook everyday foods and dishes on a budget. Using organic, plant-based ingredients in a relaxed welcoming workshop. 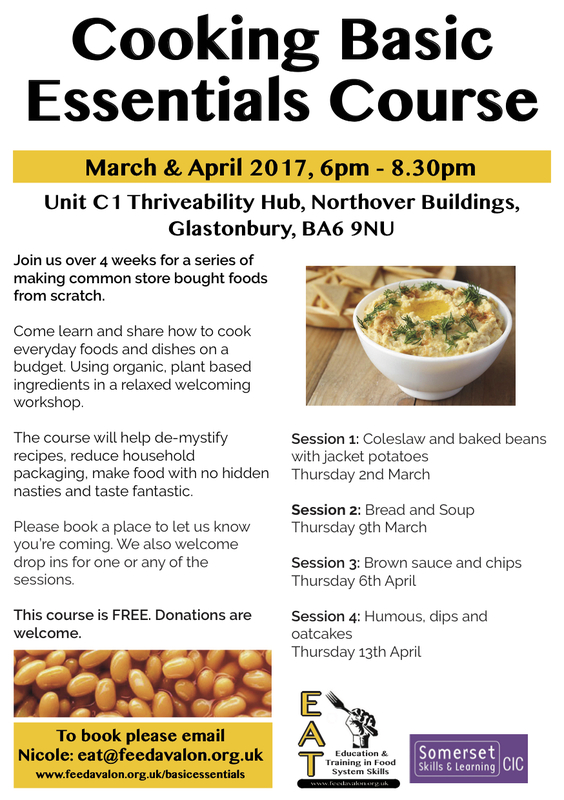 The course will help de-mystify recipes, reduce household packaging, make food with no hidden nasties and taste fantastic. Please book a place to let us know you’re coming. We also welcome drop ins for one or any of the sessions. Cost: This course is FREE. Donations are welcome. How to book: Please book a place to let us know you’re coming. We also welcome drop-ins for one or any of the sessions.